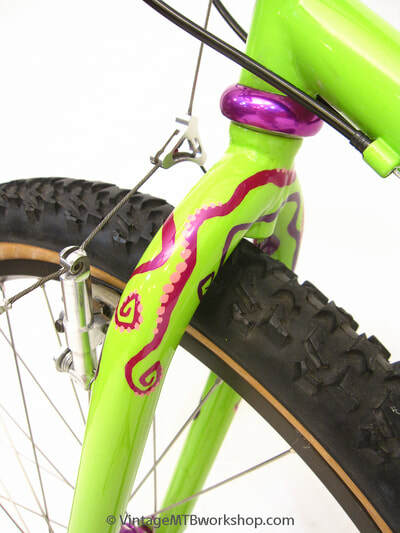 This one-of-one bike was built by product and industrial designer Christopher Flechtner while he was painting bikes for Ted Wojcik Cycles and a student at Massachusetts College of Art in Boston. 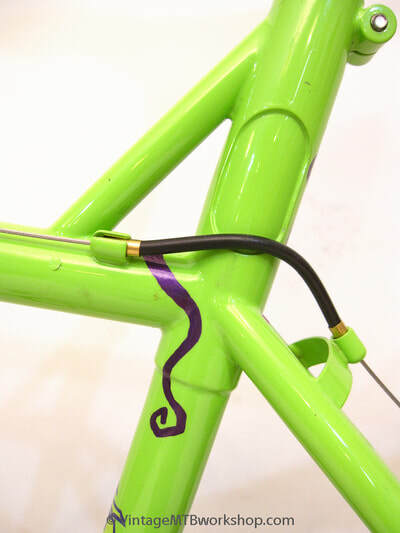 The frame was setup on Ted's frame fixture and TIG welded by Ted. 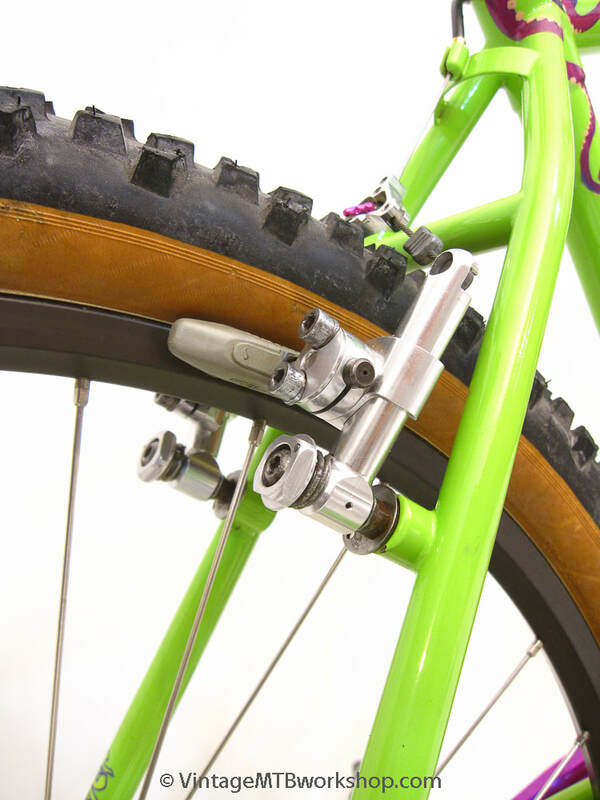 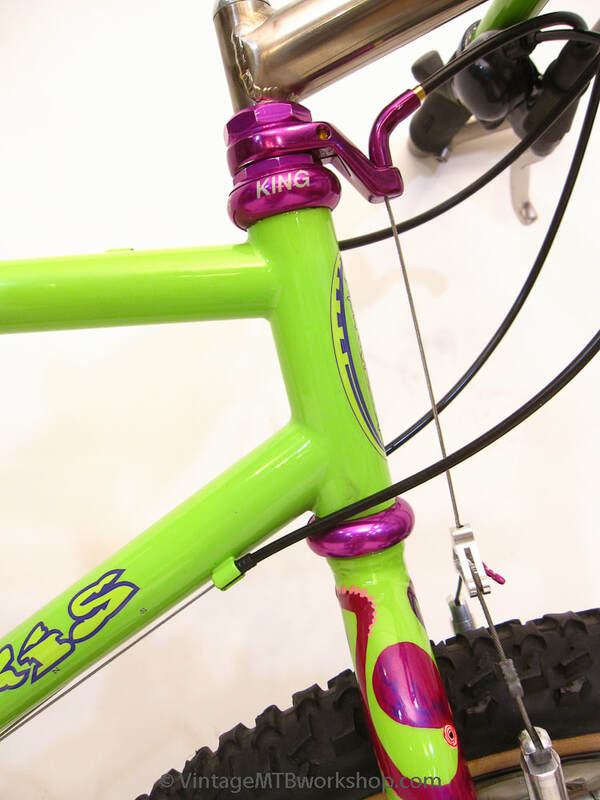 The bike was constructed with Ritchey Logic tubing and an Answer Accu-Trax fork. 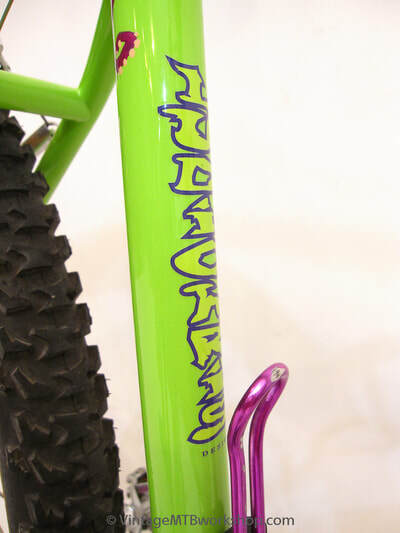 The One-Off Titanium stem is another nod to the Boston roots and Mike Augspurger. 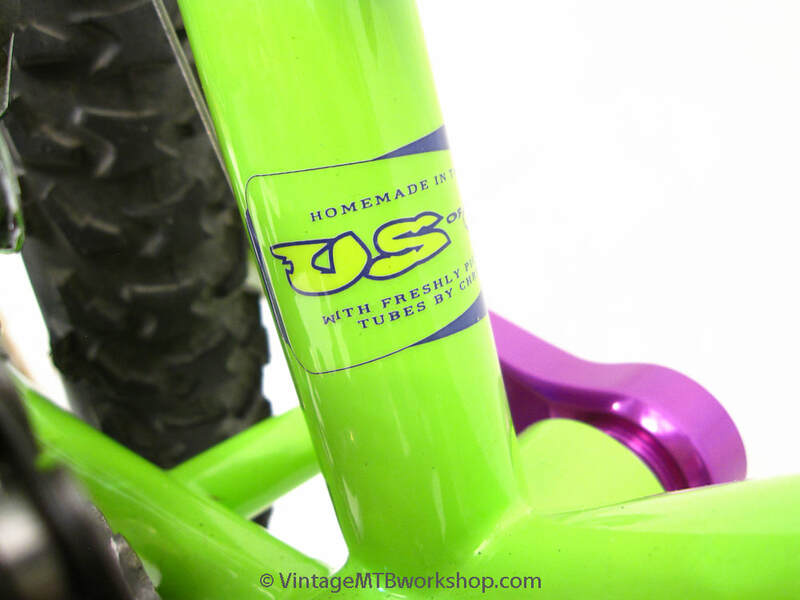 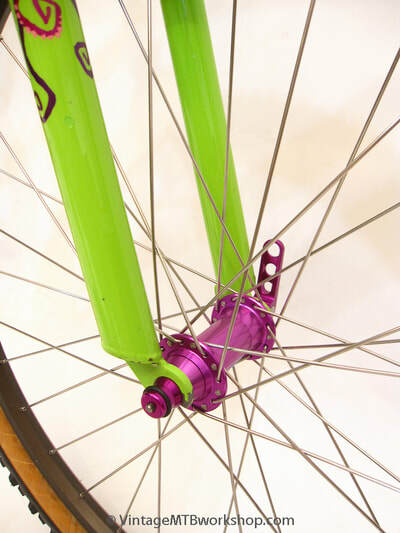 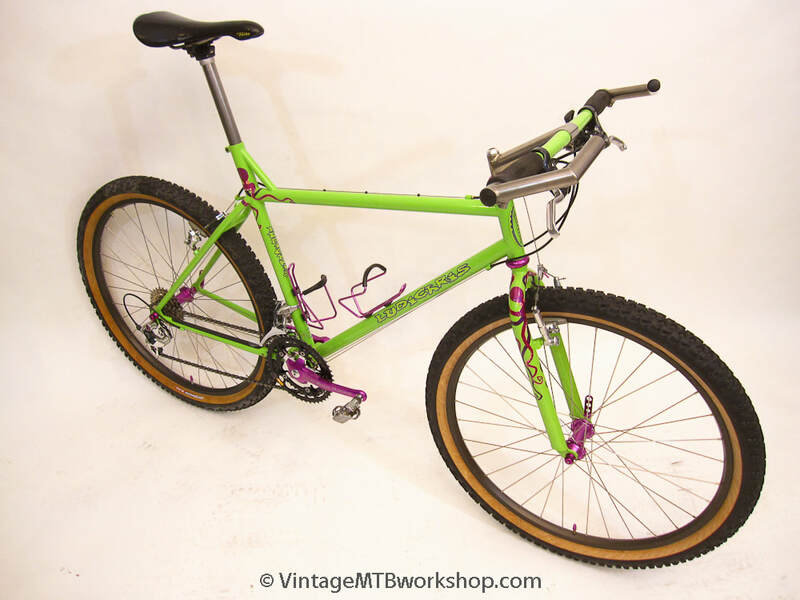 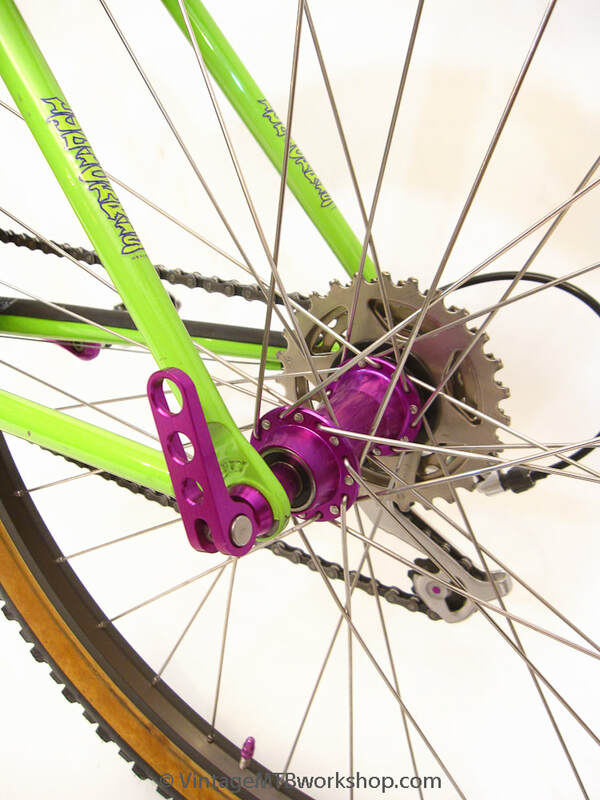 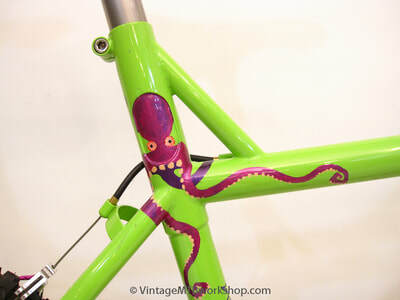 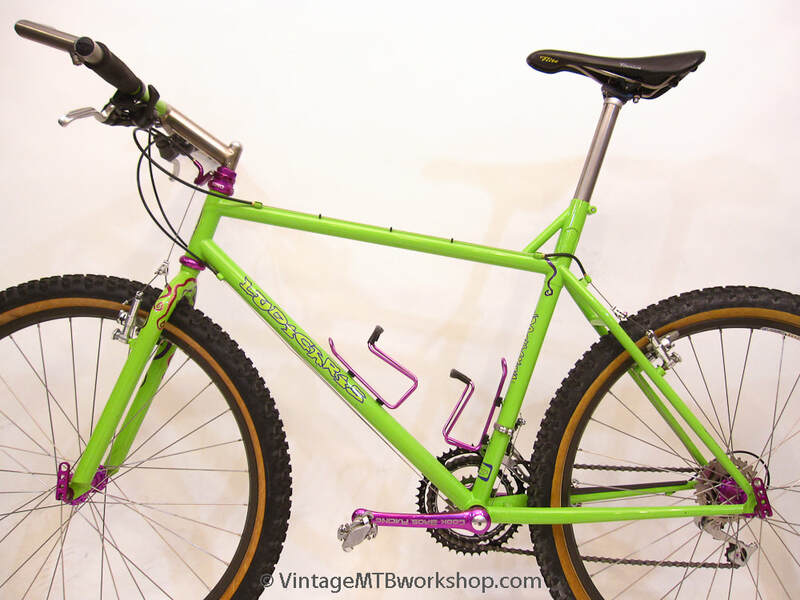 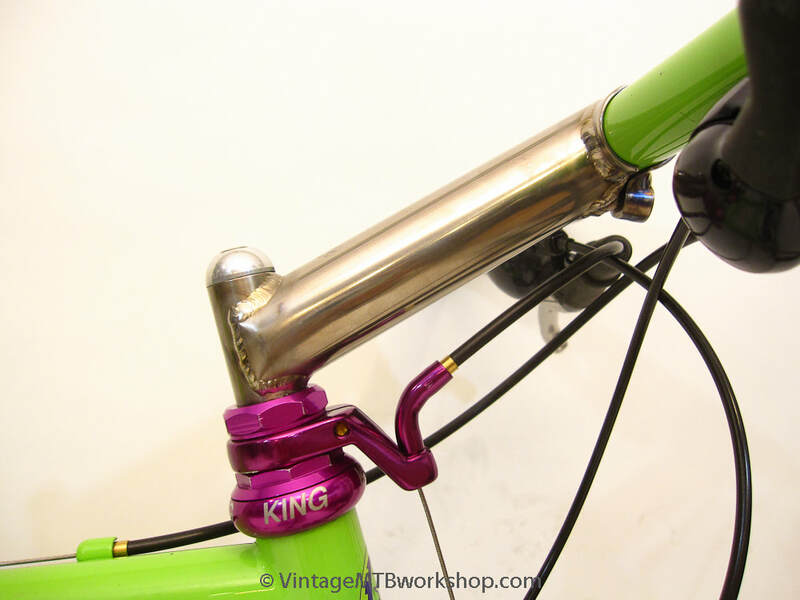 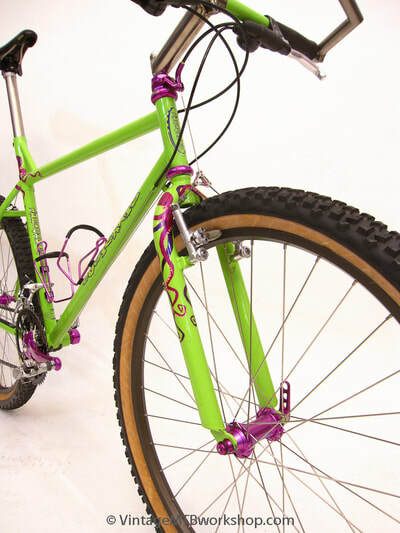 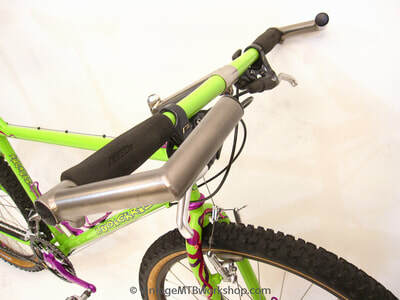 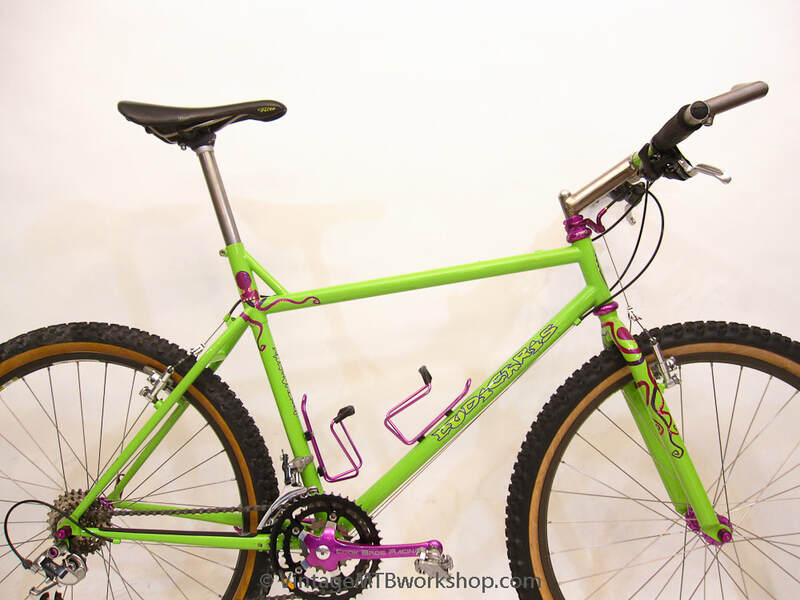 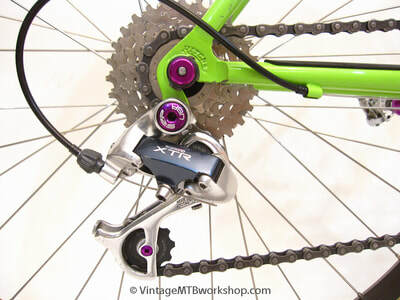 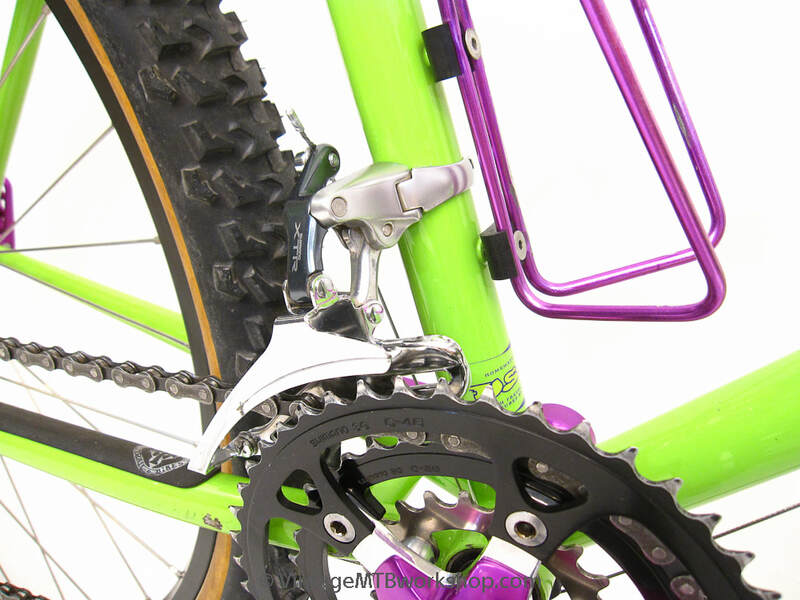 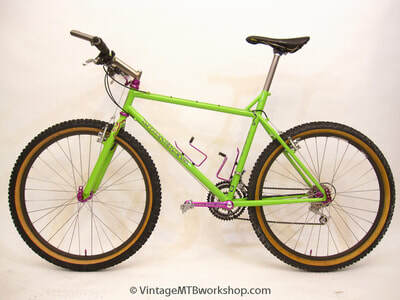 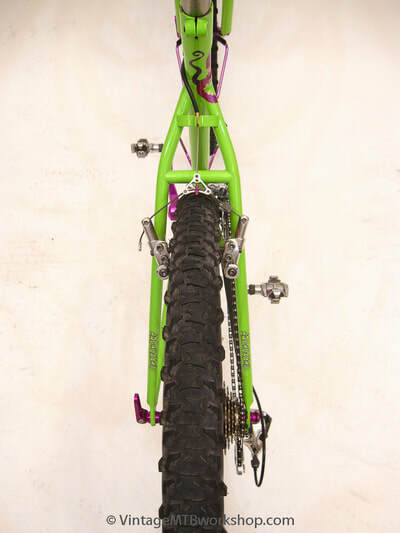 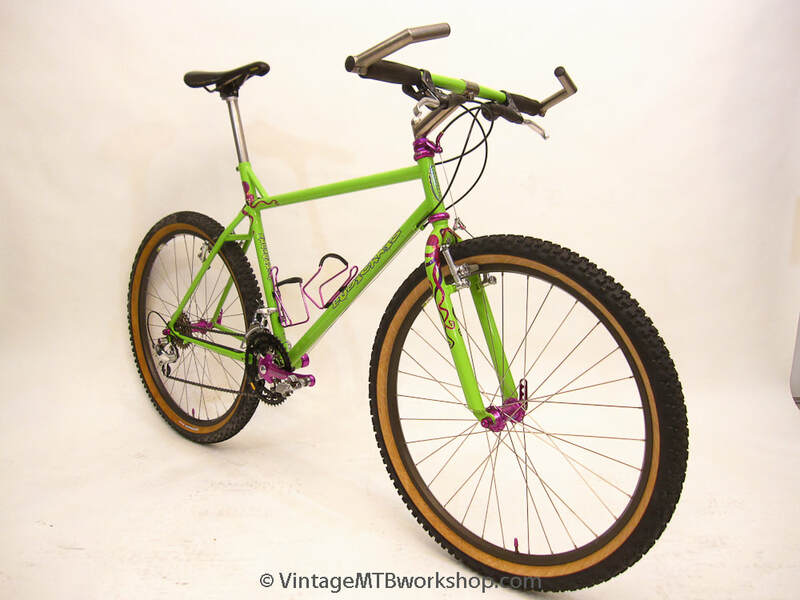 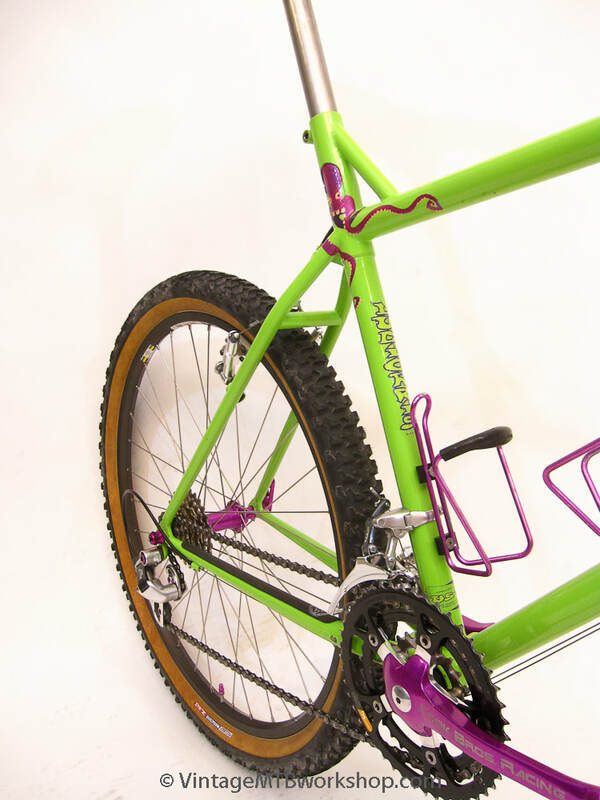 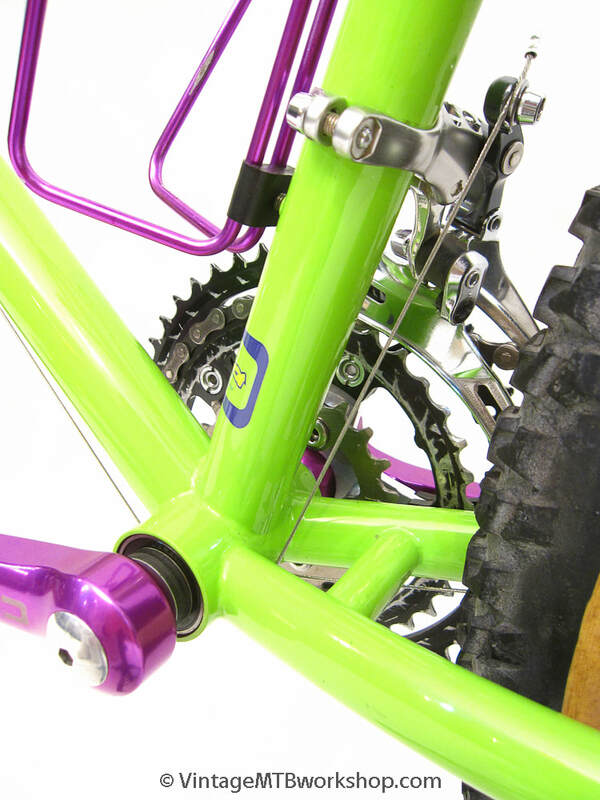 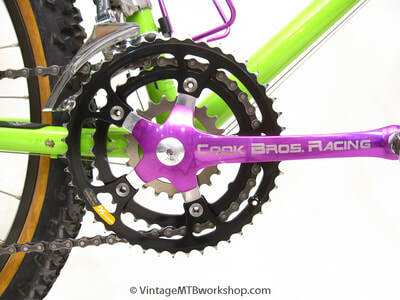 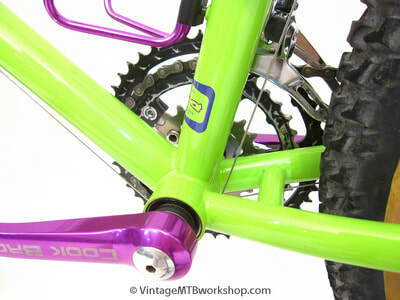 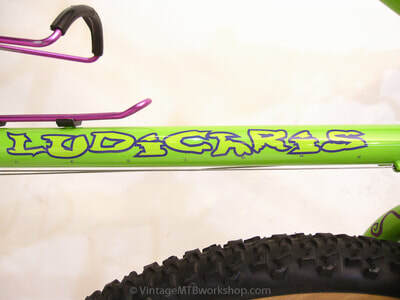 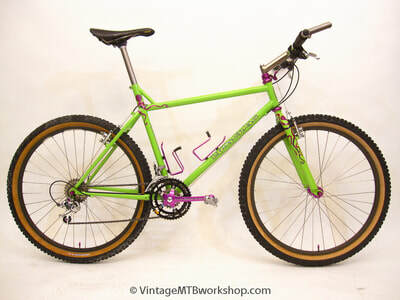 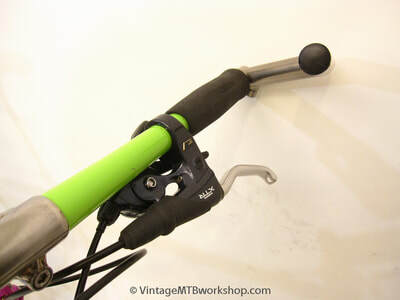 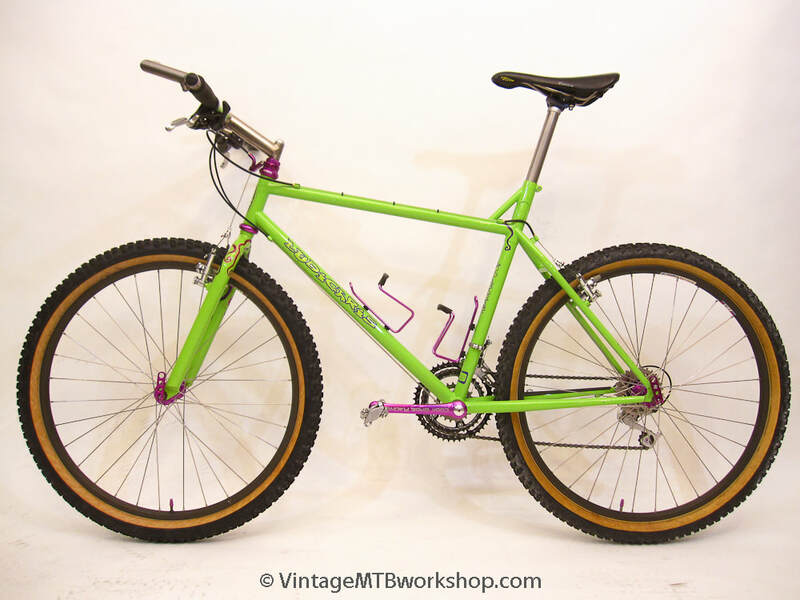 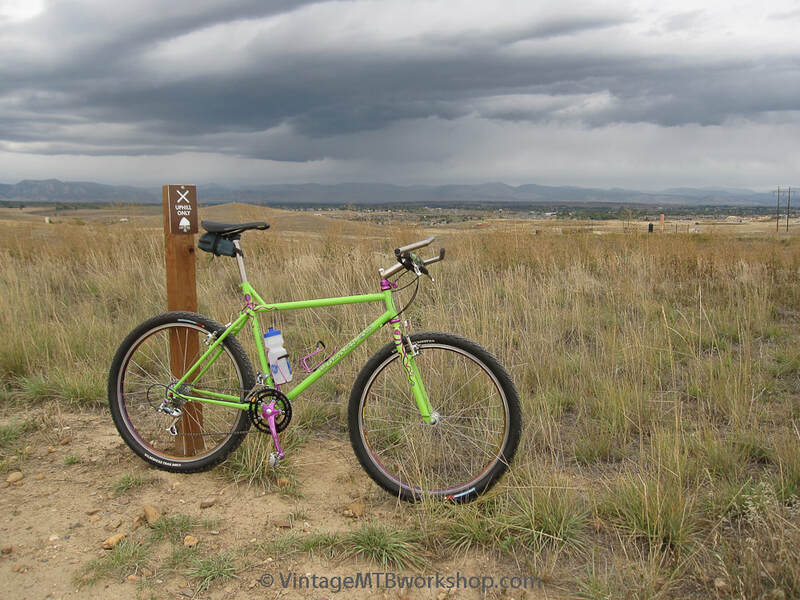 The frame was originally painted black with the green fork and purple octopus, but later the frame was painted the matching green and the second octopus added by Nukeproof founder Mark Bolish. 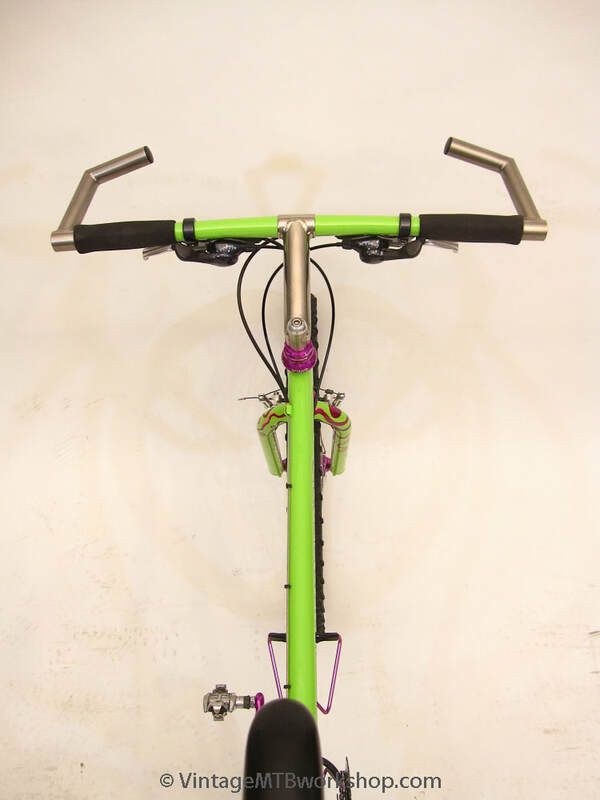 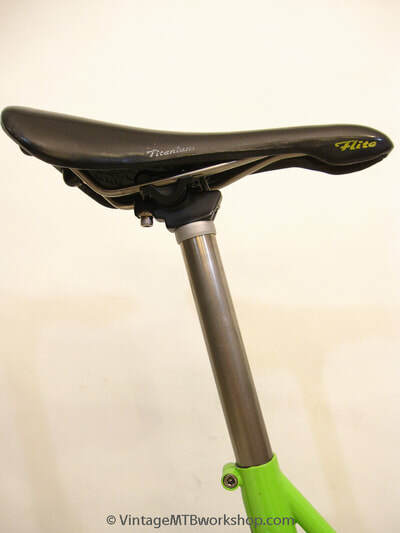 Flechtner continues to design bikes, most recently for urban living. 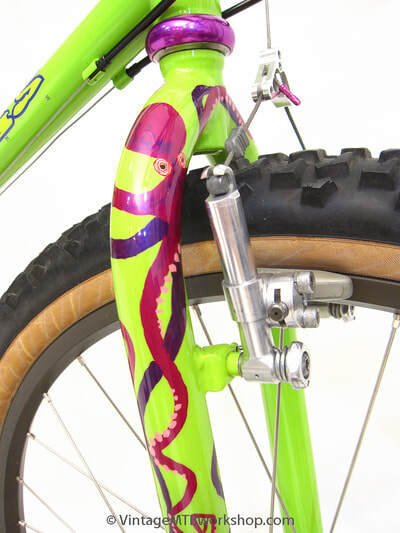 The ride of this bike is light and fast.